A proposed tax which could impact cruise ship passengers has been called “disappointing” by the Cruise Lines International Association. And given that this is the second such tax to be aimed at cruisers, it could set a precedent with long-lasting consequences for passengers and the cruise lines. 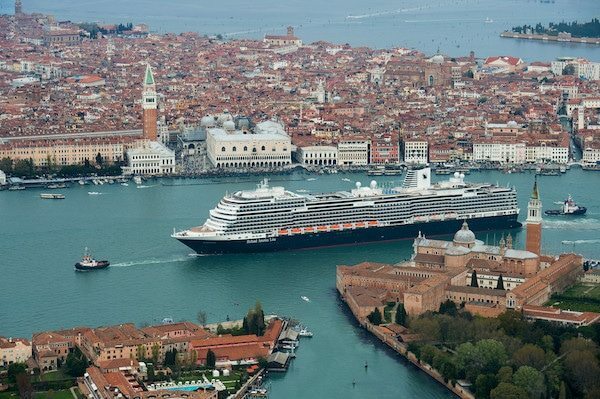 Ships arriving in Venice could see their passengers having to pay a new tax this year. In December, Amsterdam introduced a similar tax aimed at day-visitors over the age of three. At that time, CLIA said that “the contribution of cruise passengers is extremely disproportionate” to the charges which would be levied against those who arrived via other forms of transportation. And while CLIA didn’t come right out and threaten Amsterdam, they certainly stated their concerns in a way that could be seen as a warning. CLIA Alaska sued Juneau for using fees paid by cruisers for purposes other than those related to the cruise ships which visit the port. Obviously, the concern is that any port city needing to infuse their coffers with extra cash could follow suit by placing a tax upon cruise ship passengers. This is not a new problem, nor is it one that cruise line’s haven’t faced down before. In 2016, cruise lines sued Juneau, Alaska, claiming that fees collected from cruise ship passengers were being used for things which weren’t related to the ships, passengers or how they impacted the area. And only a few short weeks ago, the judge in the case agreed, saying that while it was legal to collect a so-called “head tax” from passengers, the funds raised needed to be used specifically on “endeavors that facilitate the marine operations” of the ships.